Truth by Kbaig: Indian Plan to make Pakistan a desert and Our Oral Protest! Indian Plan to make Pakistan a desert and Our Oral Protest! The political chaos in Pakistan is not going to end. Administrative mismanagement is on peak. Whether small roads or highways we see a strange confusion, haphazard traffic and encroachments. Rulers take Metro Bus or Orange Train projects as the way to serve Pakistan. Ruling elite is unable to realize that people do not have medical facilities and pure food. Milk prepared with chemicals, sub-standard ghee; although courts have issued orders for manufacture of impure food items but public do not have any hopes about its implementation. People are dying in the hospitals on the cold floors. Education for children is beyond power of purchase. Nation is so much busy in making both ends meet that they are unable to realize the plans of eternal enemy of Pakistan. In the tension between states war is considered as the only solution but when it is impracticable, enemy tries to find other ways to achieve its nefarious designs. Nuclear weapons of Pakistan and possibility of a befitting reply in case of any aggression India has avoided direct aggression or war but executing different plans to weaken Pakistan internally for last two decades. However, the basic target of Indian plans had been to stop economic development of Pakistan. In this regard, terrorism is just one aspect which has created hurdles in the economic development of Pakistan. The loss of lives as the result of suicide bomb blasts cannot be imagined in the monetary values but they damaged Pakistani economy for more than 300 billion US dollars. After 2002, the economic loss of Pakistan as result of terrorism might have bankrupted any other country but Pakistani agriculture economically supported Pakistan in war against terrorism. In the way Pakistan army concentrated on curbing the terrorism and destroying their hideouts across the country this was only possible due to the stable economy standing on the pillar of agriculture. 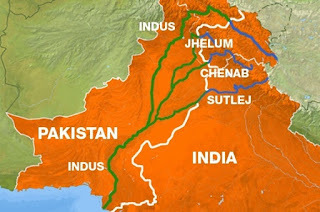 Keeping in view the series of failures in the plan to weaken Pakistan through terrorism India chalked out the plan to destroy Pakistan’s agriculture by stopping / stealing the water of Pakistani rivers. 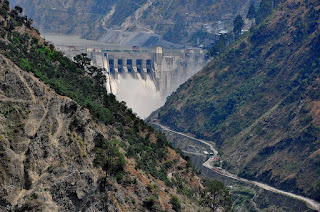 Rulers of Pakistan did not pay any heed to this water aggression of India. Whenever the construction of any big dam over Pakistani river was reported, Pakistan considered oral or written protest as enough. Govt. got some how active due to pressure by media but India kept working on the construction of dams by tricking Pakistan into negotiations. In this way India completed many dams. Exploiting the criminal silence from Pakistan, India started the plans to turn the rivers of Pakistan; Pakistan realized that if India succeeds in stopping the waters of Pakistan than agriculture would be destroyed. But this thinking or concerns remained confined to newspapers, analyses and editorials. Not only in Pakistan but analyses were published and presented on international level as well that what would be the consequences of shortage of water for Pakistan. It was even forecasted that next war between India and Pakistan would be on the issue of water. It is obvious from the Indian plans in the way India is acting upon plans to stop the waters of Pakistan, the war between both the countries would be inevitable. 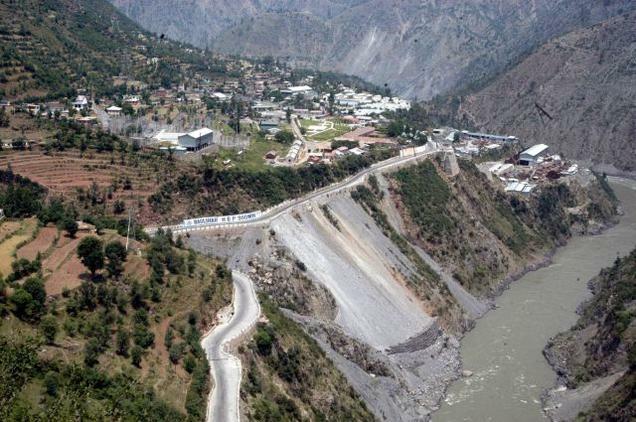 Recently this has been reported as well Pakistan has written letter to World Bank for resolving the water dispute between India and Pakistan by ensuring the implementation of Indus Waters treaty. India is violating this treaty. Pakistan has stern concerns over the Kishan Ganga and Rattli Hydro Projects of India because they will minimize the flow of water to Pakistan to such level that agriculture of Pakistan would be devastated. India is rejecting concerns raised by Pakistan and wants that unbiased experts from World Bank should investigate the project who should decide after hearing the stance of the both parties. Pakistan is not ready for this commission because this commission will not have any powers and India will not be responsible to accept or act upon the report of this commission. Pakistan wants World Bank to establish mediator court so that this issue can be resolved forever. In this regard meetings between World Bank representative Ian H. Solomon met with Indian Foreign Minister and Minister for Water on 05 January 2017 in New Delhi so that this dispute might be resolved. India presented the stance that the concerns raised by Pakistan are technical so only technical experts may propose a solution. World Bank has been told that it should not make any haste in this regard for which World Bank has given the time of one month in which both countries would try to chalk out a solution mutually. Pakistan has also contacted USA to interfere as guarantor of 1960 Indus Waters Treaty and stop India from violation of this treaty. USA has replied that both countries should resolve this issue through negotiations. The reality of the negotiation is that since independence of Pakistan, India has exploited negotiation just to lend time not to resolve any issue and this is what India wants now that India continues her construction work while Pakistan keeps on protesting. Once the project is completed no one can order the demolition of dam.